History/science novel from Bethlehem Books. 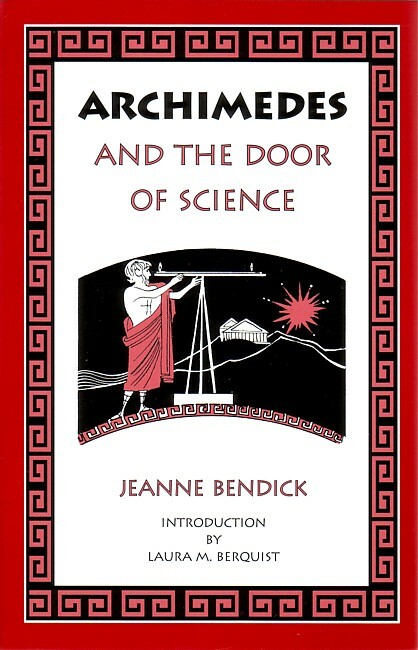 Jeanne Bendick, through text and pictures, admirably succeeds in bringing to life the ancient Greek mathematician who enriched mathematics and all branches of science. Against the backdrop of Archimedes's life and culture, the author discusses the man's work, his discoveries and the knowledge later based upon it. The simple, often humorous, illustrations and diagrams greatly enhance the text. Includes an introduction by Laura M. Berquist, and an index of terms. Recommended for grades 6-8. Black and white illustrations. 2001 copyright. Originally published by Franklin Watts, Inc.1962. 5.5 x 8.5 inches. 142 pp. This book is also sold as part of the Bethlehem Science Book Set .